Splendor is a light, fast game of constant, small decisions. Overall, it’s a race to be the first player to score 15 Victory Points (VPs) by buying development cards using the 5 different coloured currencies (gems). Each development card is a colour and each card shows its cost as well as how many VPs it is worth. Each card you purchase gives a permanent reduction on your future purchases; for example, a card costing 2 red gems and 3 green gems would only cost 2 red and 1 green if a player had already bought 2 green cards. 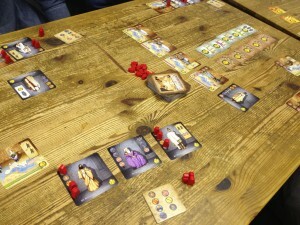 As a result, players’ purchasing power increases as the game unfolds. 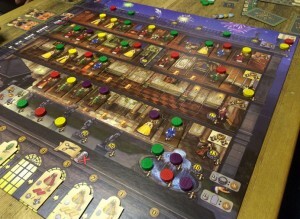 The Palaces of Carrara first caught my attention because it’s a Eurogame by veterans Wolfgang Kramer and Michael Kiesling (Tikal, Tikal II, Asara). Also, the Palaces of Carrara has been nominated for the 2013 Spiel des Jahres Kennerspiel. 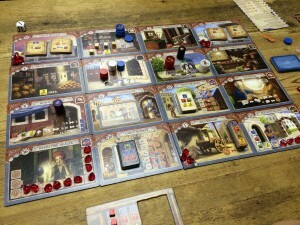 Players buy coloured marble which they use to build buildings in the 6 cities. 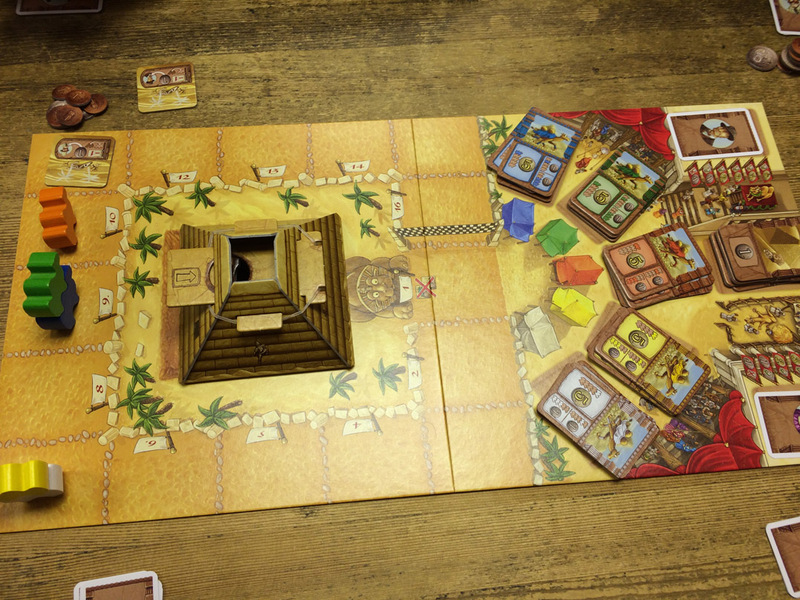 The player with the most victory points (VPs) at the end of the game is the winner. This may sound very ordinary, but there are several clever game mechanics that combine really well and deliver a tight and tense game. 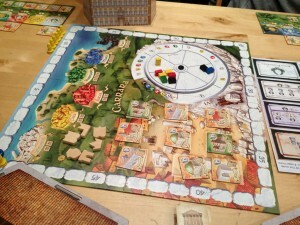 On their turn, a player can either buy marble, build a building, or score. 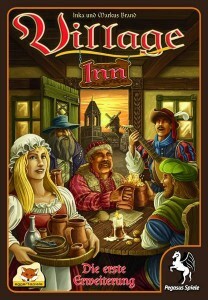 K ingdom Builder is designed by the designer of Dominion and went on to win the coveted Spiel des Jahres award 2012. The game is relatively simple. 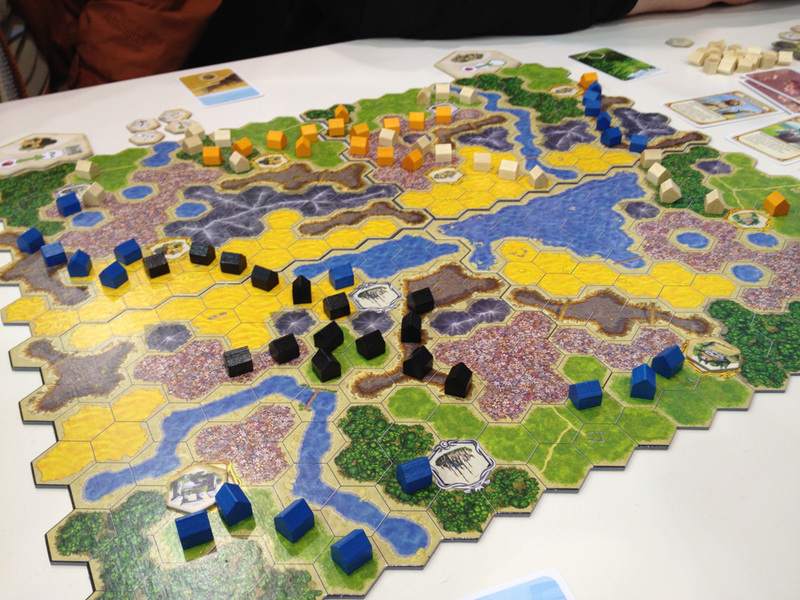 Players score points at the end of the game based on where they have built their buildings based on criteria specified by 3 Kingdom Builder cards (randomly selected from 10). The board is created using 4 sections in any combination (randomly selected from 8). 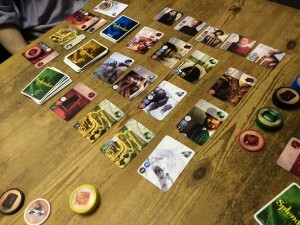 On their turn, a player has just one terrain card and they must place 3 of their buildings on unoccupied spaces on the board that match that terrain type. Buildings must be placed next to any of the player’s existing buildings, if possible; otherwise, they can be placed on any hexes of the matching terrain. If the player places any of their buildings next to one of the special locations on the board, they get to take one of the matching special action tiles.